The Nissan Frontier is known for many things—impressive light-duty capabilities, comfortable interior materials, advanced technology features, and more. With so much to love about this model, you’ll want to read up on it to see what this model can do for your unique lifestyle. To help shoppers in the areas of Douglas, Vidalia, Tifton, and Jesup do all of their research on the Nissan Frontier in one convenient location, we at Walker Jones Nissan have put together this resource page. Read ahead to learn more about this model through our Frontier reviews, comparisons, and more. Contact us today for more information! You’ll find more information about all of these features and more inside our detailed Nissan Frontier reviews. 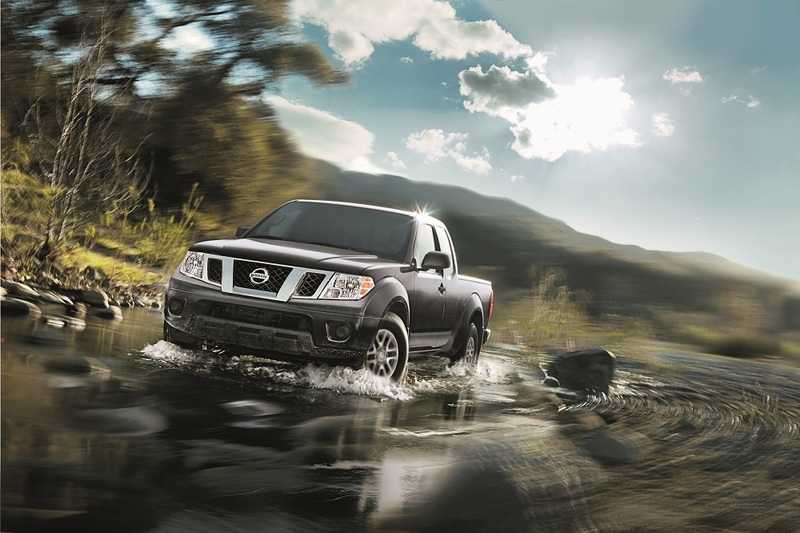 Our Nissan Frontier reviews also cover all kinds of comfort aspects. You’ll learn about the dimensions of the Frontier inside and out so you can get a good idea of how much space you’ll have in the cabin and in the bed of the truck. Another important aspect of next-car research is seeing how it compares to similar vehicles on the market. On this page, you’ll find a variety of helpful Nissan Frontier comparisons that go into extreme detail about how the Frontier compares to other light-duty pickup trucks. You’ll also find another type of comparison on this page—our Nissan Frontier trim level comparisons. These research guides dive deep into the differences between the Frontier’s five unique trim levels including the S, the SV, the PRO-4X, the SL, and the Platinum Reserve. After you’ve read through our different types of comparisons, you’ll have a clear idea of how the Frontier stands out from the competition and which trim level is the best fit for your needs. Test Drive the Nissan Frontier! We at Walker Jones Nissan are thrilled that you stopped by today to learn more about the Nissan Frontier with us. As you can see by our Frontier reviews, comparisons, and many other resources, this model is a great pick for pickup truck shoppers of all kinds in the areas of Douglas, Vidalia, Tifton, and Jesup. Now that you’ve had a taste of what this model has to offer, it’s time to get behind the wheel of the Frontier and experience it for yourself. Give us a call at Walker Jones Nissan today to schedule your test drive! 1 Maximum towing capacity when properly equipped. Maximum towing of up to: 9,400 lbs. for TITAN® Crew Cab 4x2; 9,230 lbs. for TITAN® Crew Cab 4x4; 9,400 lbs. for TITAN® King Cab® 4x4; 9,240 lbs. for TITAN® King Cab® 4x4; 9,740 lbs. for TITAN® Single Cab 4x4; 9,470 lbs. for TITAN® Single Cab 4x4. Towing capacity varies by configuration. See Nissan Towing Guide and Owner’s Manual for additional information. 2 Maximum payload capacity when properly equipped. Maximum payload of up to: 1,590 lbs. for TITAN® Crew Cab 4x2; 1,610 lbs. for TITAN® Crew Cab 4x4; 1,600 lbs. for TITAN® King Cab 4x2; 1,630 lbs. for TITAN® King Cab® 4x4; 1,940 lbs. for TITAN® Single Cab 4x2; 1,950 lbs. for TITAN® Single Cab 4x4. Payload capacity varies by configuration. See Nissan Towing Guide and Owner’s Manual for proper use.